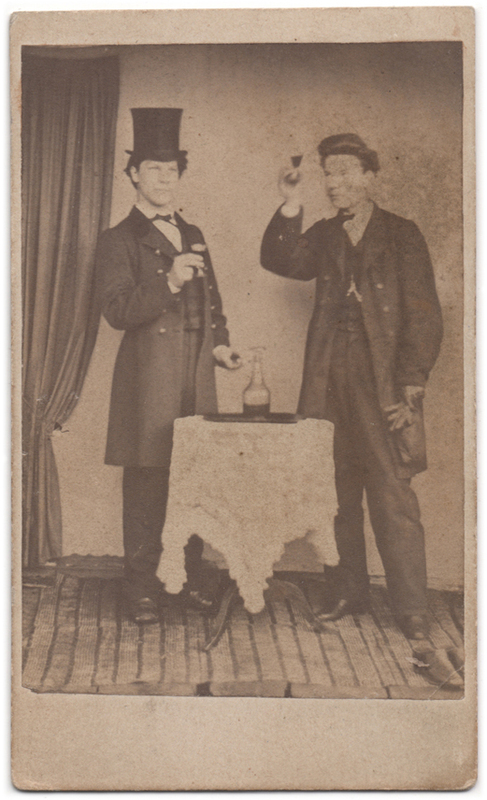 Picture of two gentlemen raising glasses, standing by a small table that is covered with a frilly cloth. The men are smartly dressed, but they are standing on a worn-out rug that is covering a floor made of uneven planking. Their glasses are filled with some dark liquid, and on the table there is more in a clear glass bottle. Both men look somewhat serious, even though someone has written on the back of this photograph that this is a “skämtbild”, a picture that was taken just for fun. The names of the men are also given: Arvid (?) Nyberg and Ferdinand Nevander – the first name is scribbled in a way that makes it hard to read, so it is possible I’ve misread it. 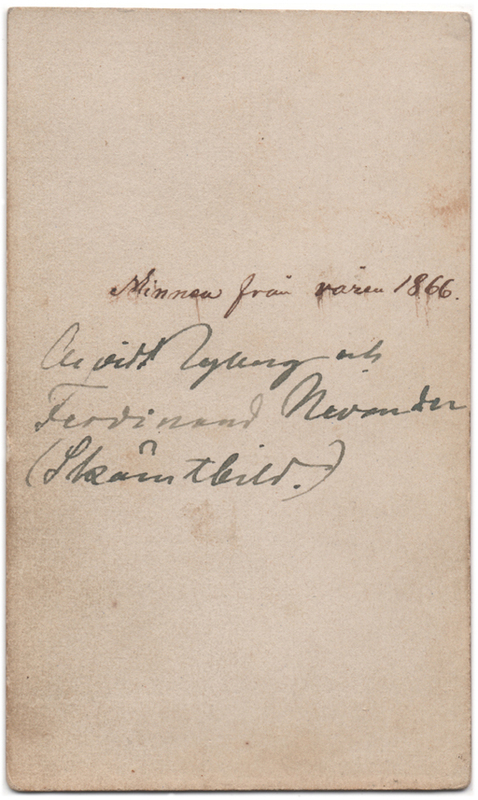 The writing on the back also states that this is a “minnen från våren 1866”; a memory from spring 1866. The name of the photographer and the location where this picture was taken remain a mystery, however, as there is no information or clues about these. It is possible that the photograph has been taken somewhere in Finland, but it is not certain.